The first time I met Johan Lindeberg, we traveled to Bassano del Grapa, Italy, in the picturesque hills outside Venice, to visit Renzo Rosso, the founder of Diesel jeans. Lindeberg then worked closely with Rosso. This writer didn’t feel cool enough to be hanging out with Lindeberg, a hirsute Swede in a biker jacket, until we landed at the Venice airport, and the drug dog went wild for a vintage leather coat that I’d picked up in Sweden at a second-hand store. I had Lindeberg’s attention. The motley green jacket was apparently acquired second-hand from a Swedish junkie, and had I not known a bit of Italian, I might easily have been headed for a cavity search. Renzo had just bought a Palladian villa, and when the three of us stopped by to check it out early one morning, the windows, pre-restoration, were blocked with black trash-bag plastic. We all went running together in the hills. And we pounded grappa and coffee at a little farmhouse restaurant, where the chef kept sending out fresh morsels as Rosso and Lindeberg got into a chest-thumping altercation. Years later, I ran into Perry Farrell at the Grammy Awards. When I asked him about his peg-leg, custom rock-star suit, he said it was by J. Lindeberg. Yup, also Johan. 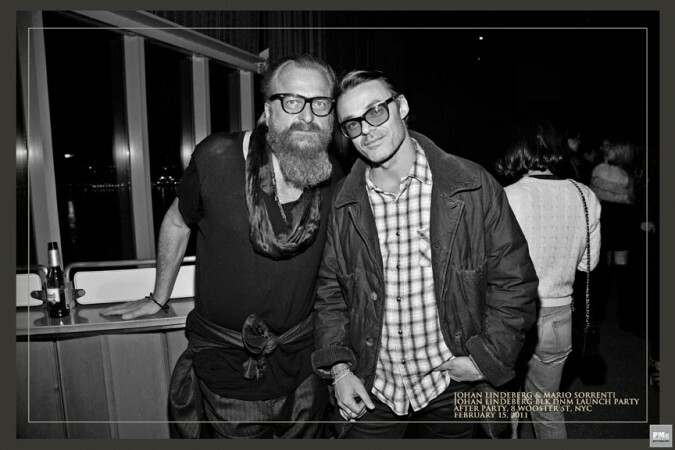 And more recently, backstage at a William Rast collection with Justin Timberlake, Timberlake reintroduced me to Lindeberg, who was, at the time, helping to design the line. After one Fashion Rocks, I spotted Timberlake and a sweaty Lindeberg dancing in the VIP area with about a thousand babes. Lindeberg’s long shirttails were flying. 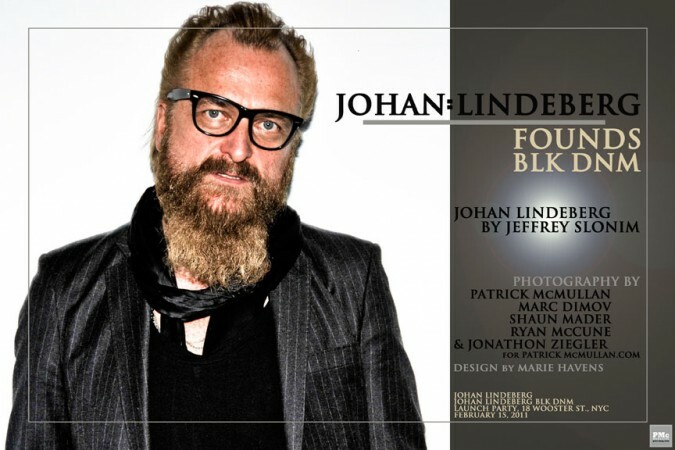 Johan Lindeberg is a Swedish-born fashion designer based in New York. He is the founder of J. Lindeberg (a company he is no longer involved with), and is now starting a new fashion company: BLK DNM. Jeffrey Slonim is a special correspondent for Allure, a contributing editor at Interview Magazine, and he regularly contributes party coverage to People Magazine. He has had columns in the Art Forum, Elle Décor, Gotham, Hamptons, The New York Post, Newsday and The New York Daily News. 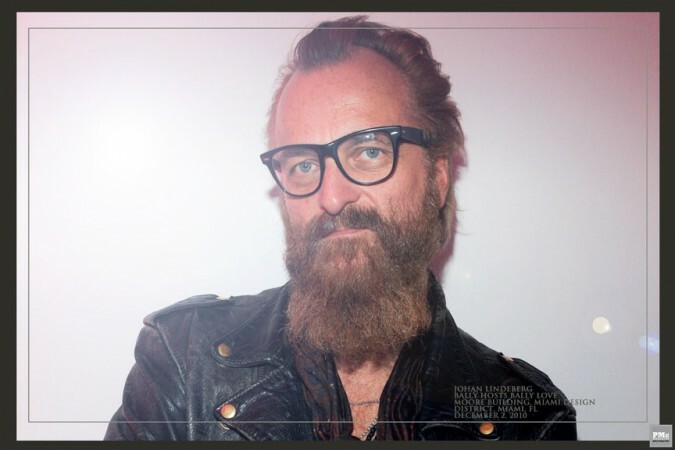 He has also written for Arena Homme +, Architectural Digest, Art & Antiques, Blackbook, Vogue, L’Uomo Vogue, and Men’s Vogue.